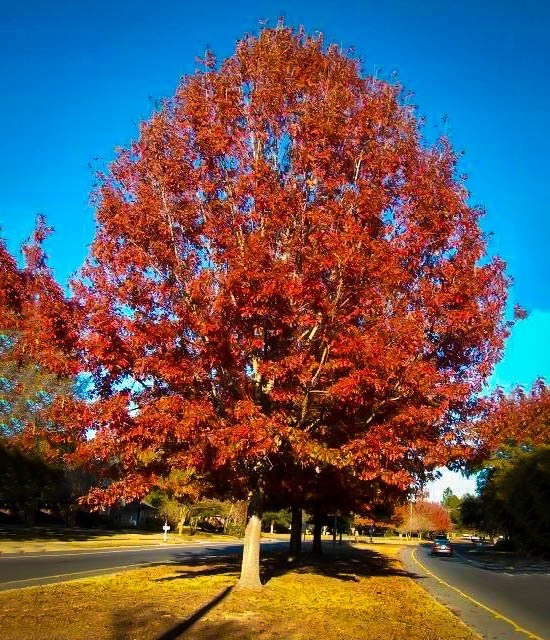 The beautiful Red Oak is a native tree that provides cooling shade from the summer heat. Offering a spectacular display of rich and deep red in the fall and rich green in summer, it provides a wealth of benefits for local wildlife, whilst also being hardy and beautiful to behold. Springtime sees pendulous catkins and in fall mature trees will produce very large acorn crops, which provide an important food source for many animals. 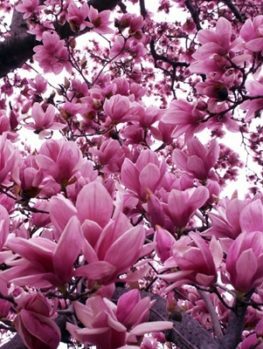 Known to survive past their 400th birthday, you can expect a lifetime of enjoyment from these bold iconic trees. 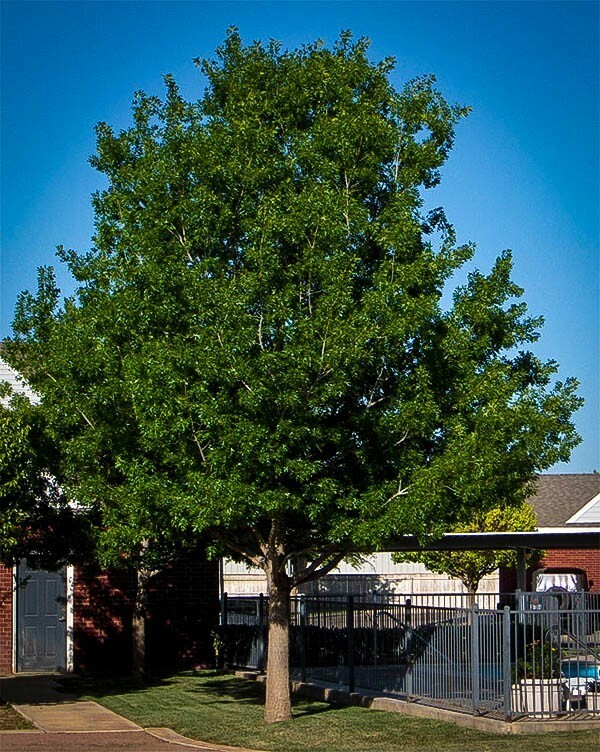 The Red Oak has speedy growth, resilience and adaptability, making this tree a great choice for a shade-tree in your yard or part of a larger collection of trees on your property. It will add great interest to large open spaces. 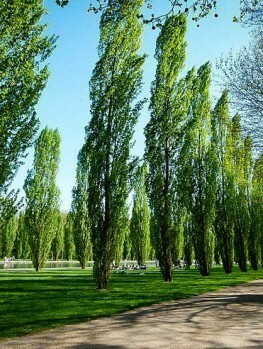 Although a familiar sight in parklands, nature and national parks, it’s also an undisputed fact that trees can add richness to even the most mundane of urban environments. Whether small or large, nothing speaks quite so much of being away from built up surroundings as vibrant towering trees breaking up the eye-line that might otherwise just be concrete and glass. The northern Red Oak is a very well recognized tree with its native habitat ranging from the north end of the Great Lakes, east to Nova Scotia, and south as far as Georgia. 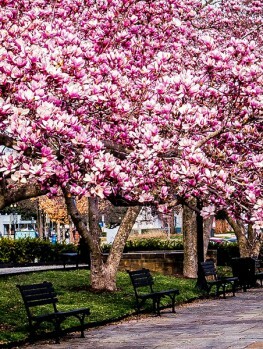 A relatively unfussy tree, it can be made at home in many places provided it has the space to grow and spread in order to create that beautiful iconic shape that, in the urban environment, stands bold and grand. You might be forgiven for thinking that ‘Oaks are merely Oaks’ and that there are very few differences between the different varieties. This is actually very far from the case, and each member of the Fagaceae family offers something different and unique. 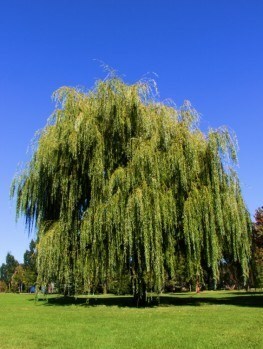 The bold leaves that adorn this tree are smooth and shiny on the upper, with a slight fuzzy down on the underside. The leaves measure between five and ten inches long; each of the alternate lobes, which number seven to eleven, tapers gradually from the broad base with a cut half way to the midrib, and usually end with a pair of bristle pointed teeth. In summer these are a rich green and later turn beautiful autumnal shades, with contrasting veins that add real drama to their surroundings. 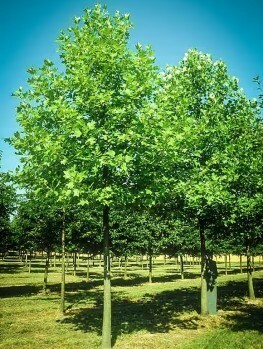 Although the mature branches tend to be a steely grey, with the youngest a bright green at first then later a deep red, one of the unique features displayed by the northern Red Oak is the highly textured bark. Although this is roughly similar in appearance to other Oak varieties, it’s a dark reddish brown with long broad rounded ridges that have a silvery stripe down the center. This effect runs for the length of the trunk, whereas on other Oaks it is found only in the upper parts of the tree. In fact this is one of the simplest ways to identify a tree as the northern Red Oak, because it’s the only Oak species with these distinctive features. 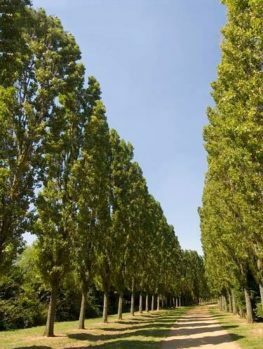 These trees are not particularly demanding but one of their main requirements is to be planted in soil that has a suitable level of acidity; without this they will struggle to reach their potential, or often even survive for any length of time. Unsuitable soil pH often shows up as an unseasonal yellowing of the leaves, whilst the veins remain green. Good drainage is also important and they prefer to have sandy, finely textured soils in full sun; they do not grow well in shade or under a canopy. As with all medium to large trees, and especially with Oaks, it is important that their proximity to manmade structures be taken into account. 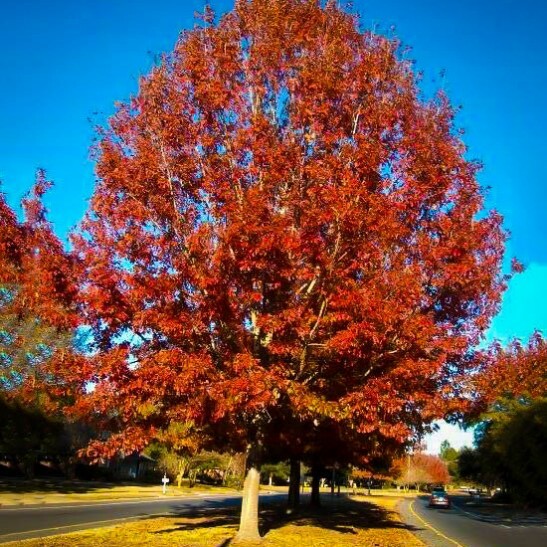 As the roots spread and meet sidewalks, driveways and buildings it is inevitable that a short but ultimately losing fight will be put up by the offending obstacle, so please do take this into consideration when choosing the perfect spot for the northern Red Oak. Like most Oaks, the northern Red Oak provides more than just shade for the weather weary; it offers a wealth of resources to birds, mammals and insects, so quite aside from planting merely for the pleasure of people there are undeniable benefits for nature and its well-being in using the northern Red Oak to break up open spaces – be they gardens, parks or avenues. These are important considerations when planting trees in order to maximize the benefits that can be had by wildlife. 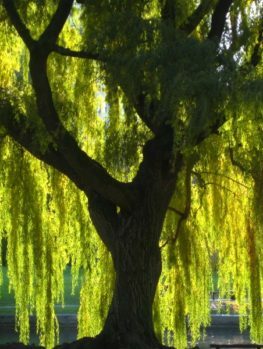 As the tree ages and reaches full maturity before dying off they offer fantastic environments for many mammals and birds, with the wide trunks providing generous nesting sites and dens. In North America, the northern Red Oak is a very important part of the timber industry due to how easily and fast it grows. It has a beautiful coloring and is highly desired for veneers, with the lumber used widely in interiors. Due to the very open nature of the wood grain, the wood is not suited to outdoor use, as it is subject to moisture infiltration when in contact with water. With all these different attributes it is not remotely surprising to find that the northern Red Oak is such a popular tree. It will add a strong – some might say regal – presence to any open space than can support its size. Certainly the decision to plant these beautiful specimens will mean generations will be rewarded by their shade-giving branches, and that’s before even thinking about the huge benefits to wildlife thanks to their abundance of fruit when mature. In fact it would be difficult to find anyone who is not moved by northern Red Oak-lined avenues in fall with their rich and vibrant colors.